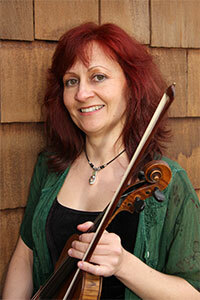 Rosalie Carver is a violin and fiddle teacher in Vancouver, BC. She is the associate director for the Vancouver Corelli Strings, founder and director of the West Coast Fiddleheads and a performer with the Celtic folk group, Blackthorn. With over 25 years experience in teaching and performing, Rosalie offers private or group lessons as well as workshops for beginners to advanced. With a positive approach, the lessons focus on posture, intonation, timing, dynamics, dexterity and a beautiful tone. Rosalie believes that with proper training and musical awareness you can venture into classical, baroque, romantic, contemporary, fiddle, gospel, jazz or whichever style you choose. 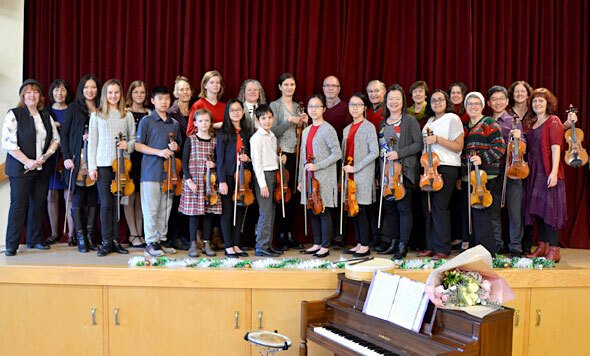 Rosalie currently offers violin lessons and fiddle lessons at her studio located in East Vancouver and at Place des Arts in Coquitlam. Workshops are held throughout the lower mainland upon request. Registration: Now accepting students for Sept. 2018 through June 2019. Class Description is on the Place des Arts website. Level 1 Fiddle Group for beginners. Learn the basics on how to hold a violin and bow, how to read music which includes learning a few simple tunes and how to take care of your instrument. Level 2 Fiddle Group: Take the next step and continue to build and refine your fiddling skills while having fun playing some great tunes. Age: 9 to 13.